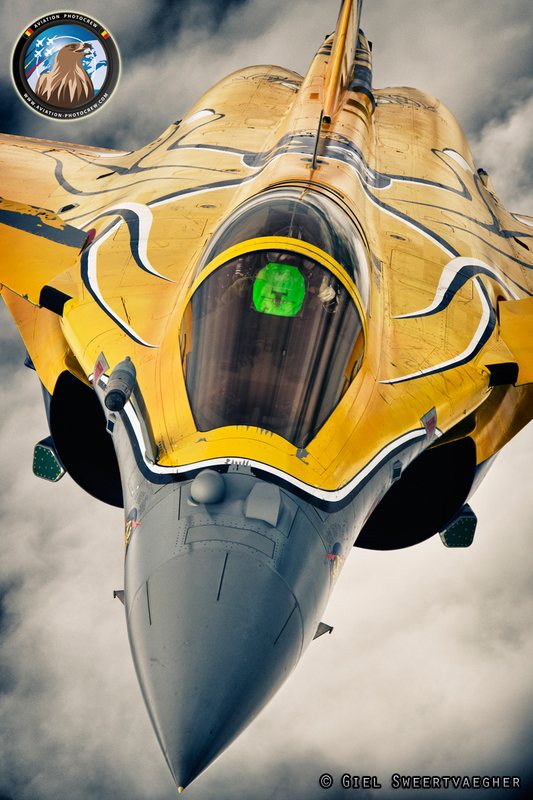 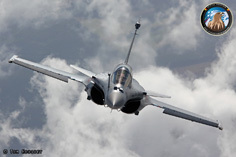 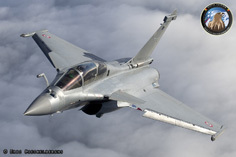 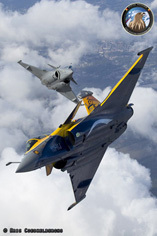 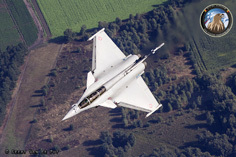 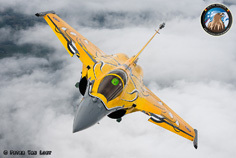 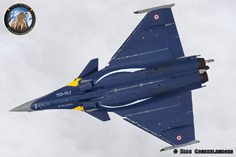 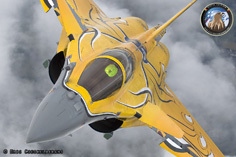 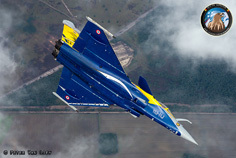 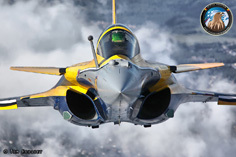 The Dassault Rafale is the most modern omnirole Fighter aircraft of the French Air Force. 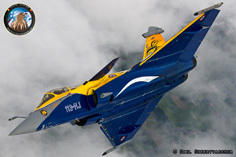 Because of it’s extreme agility and power, it is a very welcome guest at airshows where it keeps on impressing the visiting public with tight maneuvers and high-G turns. 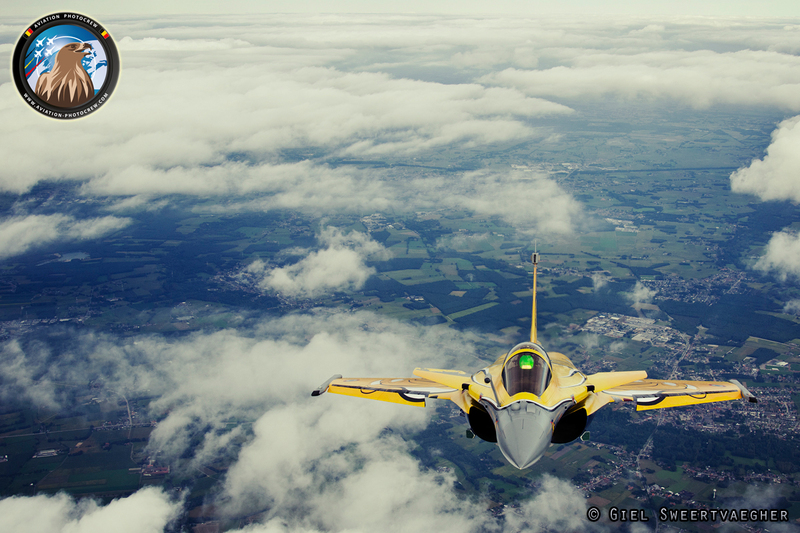 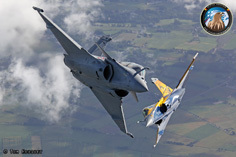 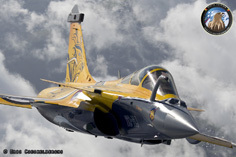 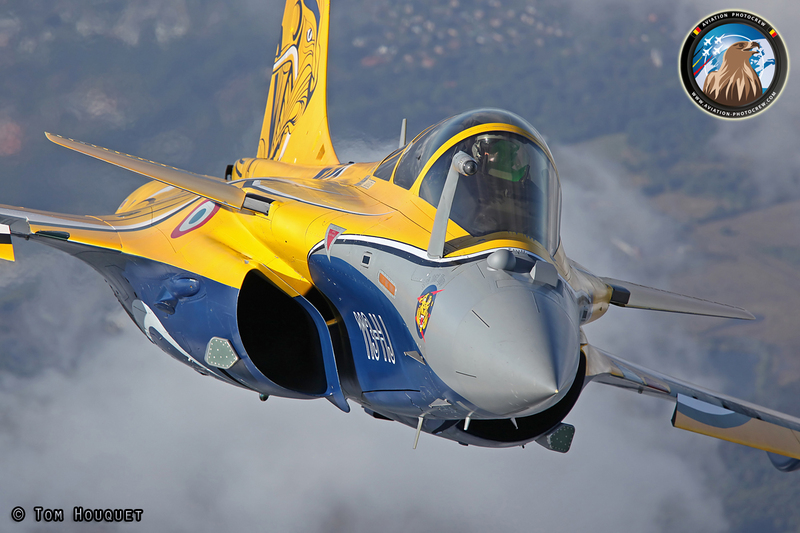 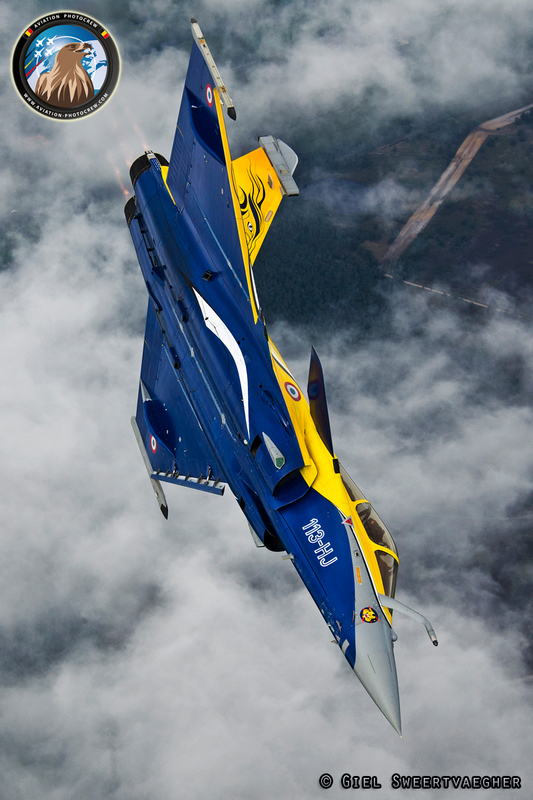 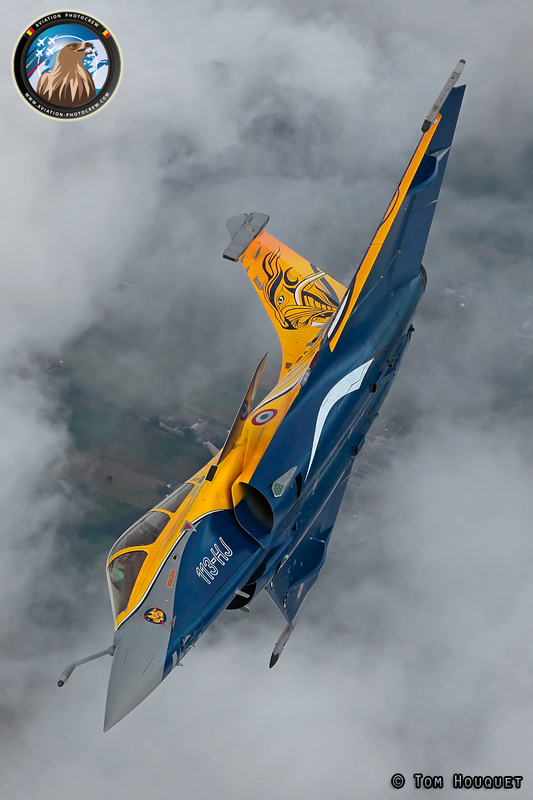 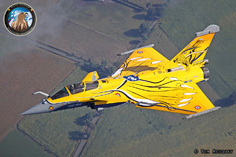 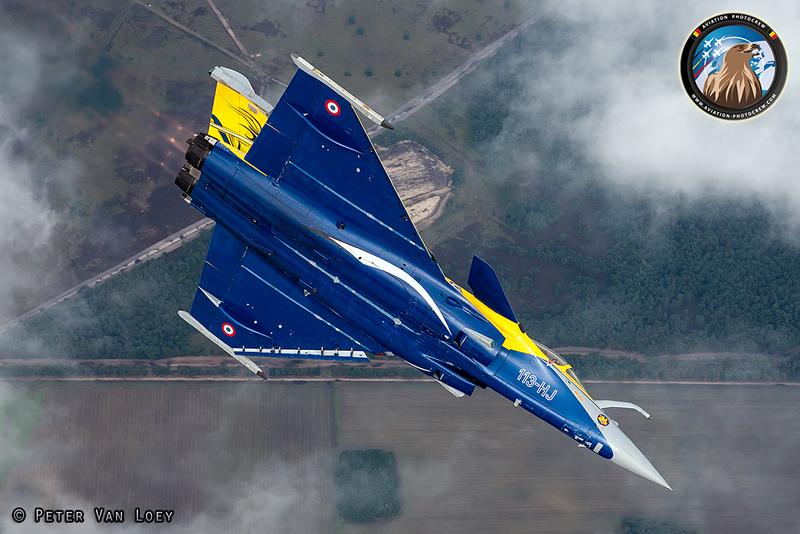 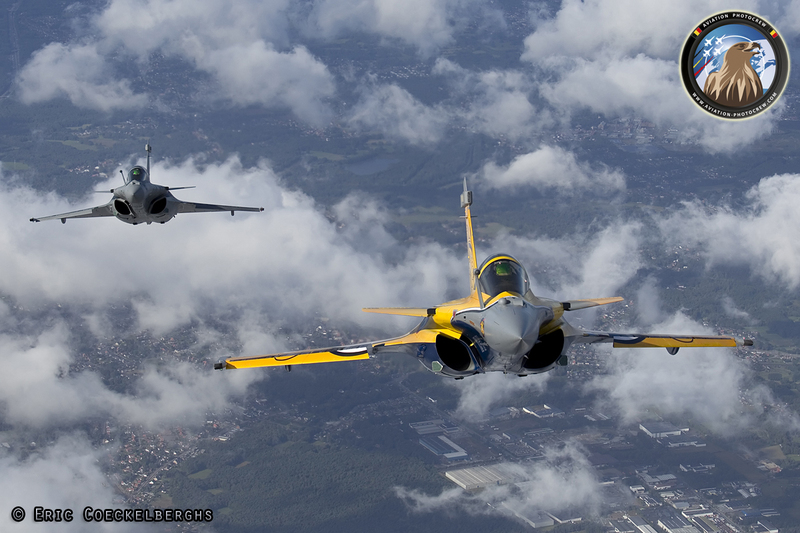 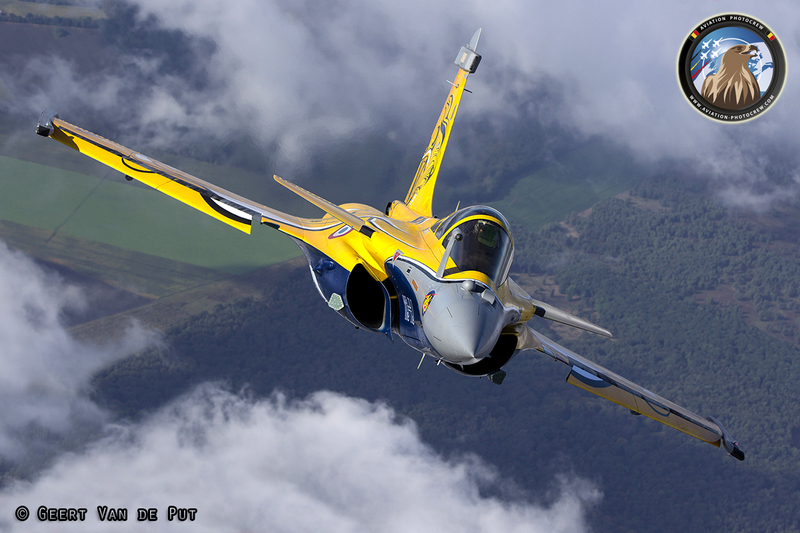 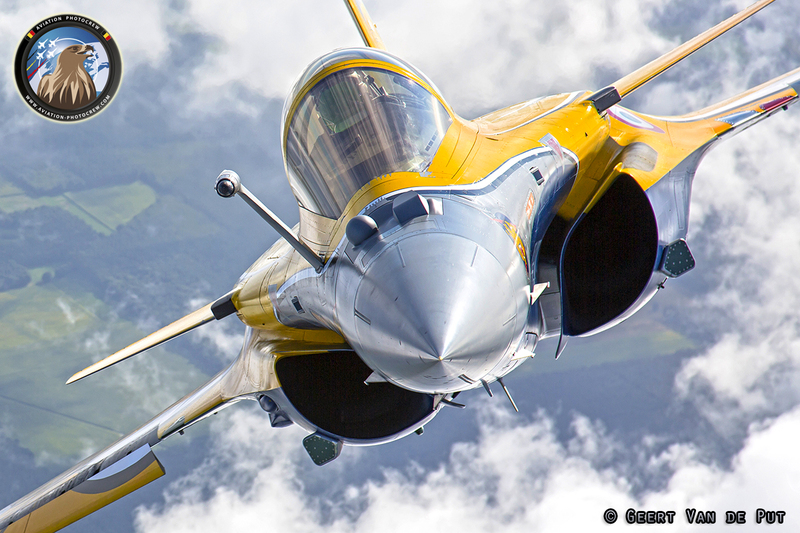 In September 2013, Rafale Solo Display was welcomed at the Sanicole Airshow in Belgium where display pilot Cpt. Benoit "Tao" Planche performed it stunning show. 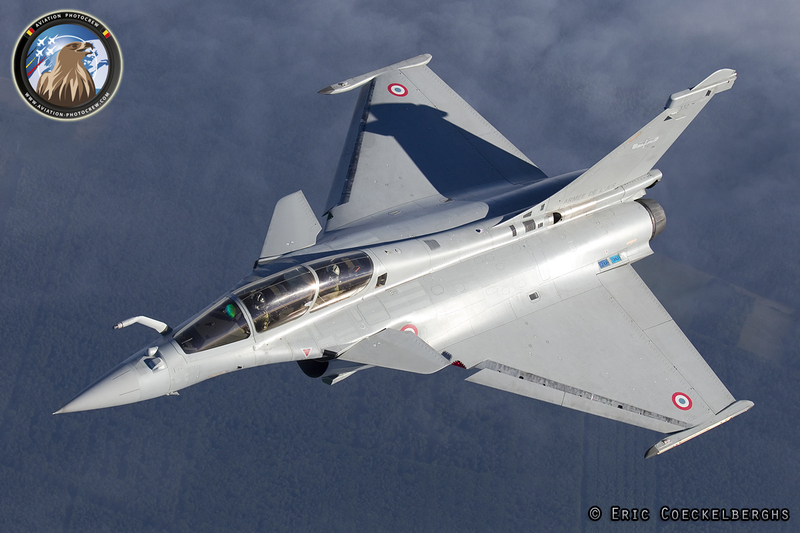 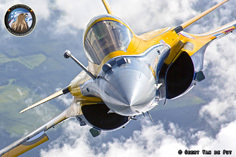 We were very pleased to receive the official permission to perform an Air-to-Air photoshoot with the Rafale during the ferry flight between Kleine Brogel Air Base and Sanicole Airfield. On Friday, the spare aircraft flew a training display and joined the Skyvan afterwards for the first photoshoot. 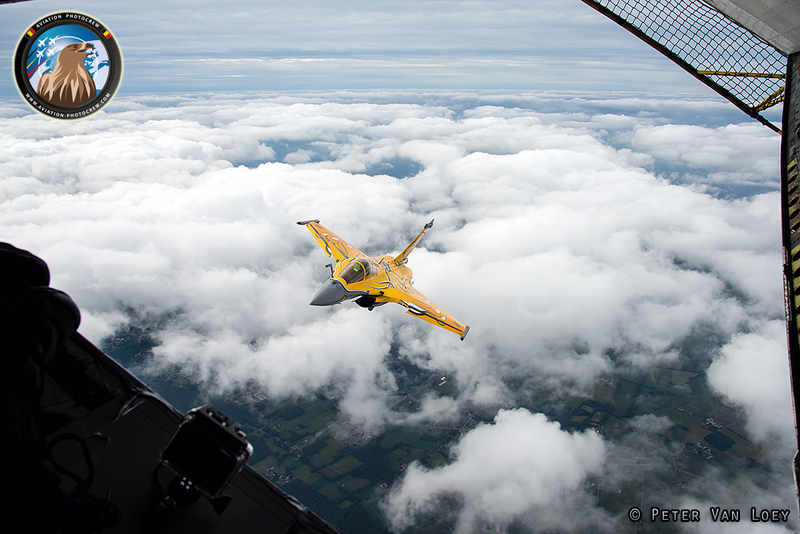 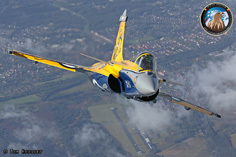 The photoflight lasted only a very short time, but both the photographers and pilots were happy with the result. 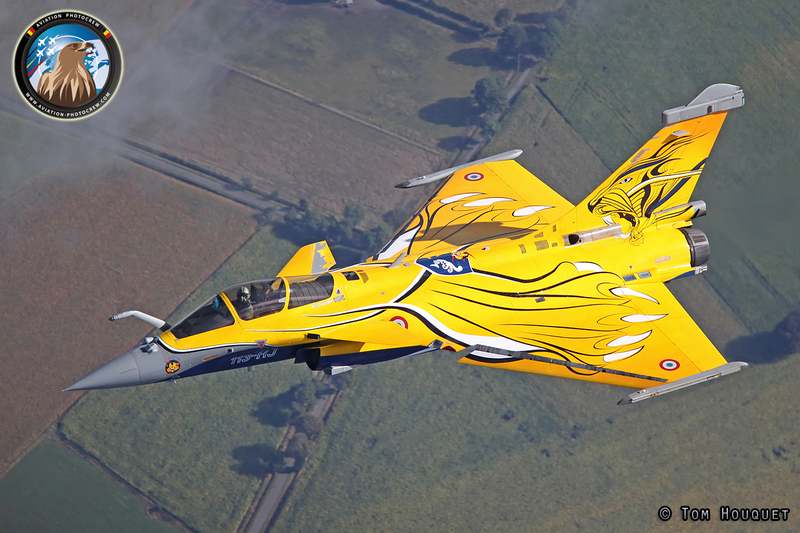 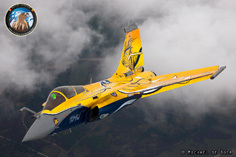 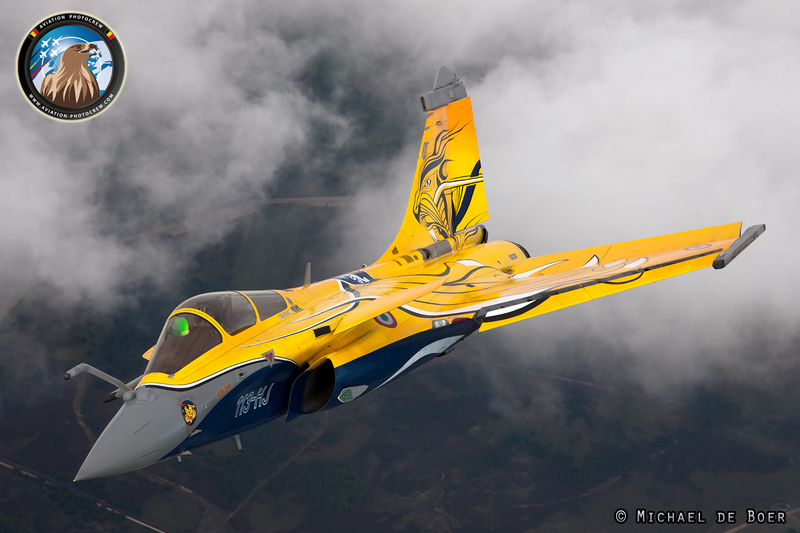 On Sunday we were even more lucky as the display aircraft for the Sanicole Airshow was the stunning Tigermeet paintscheme! 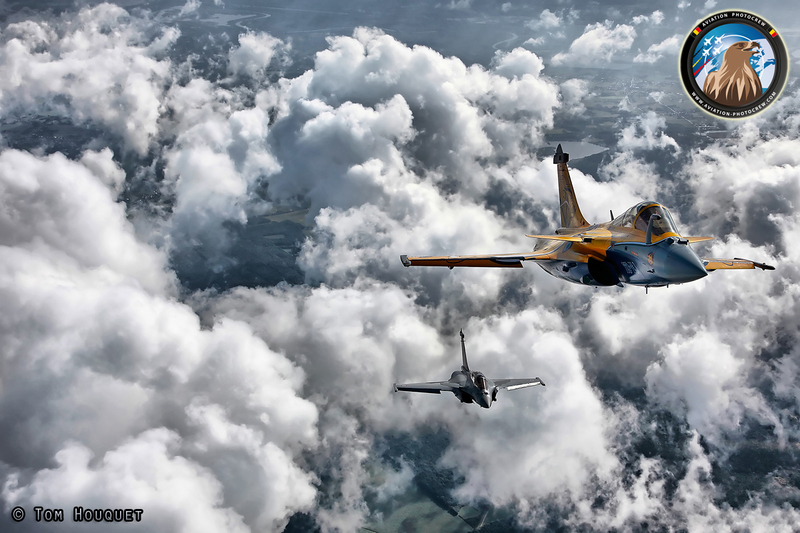 The weather was really interesting for photography as we had a nice mix of cloud and sun, which gives a very nice touch to the photographs. 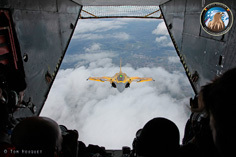 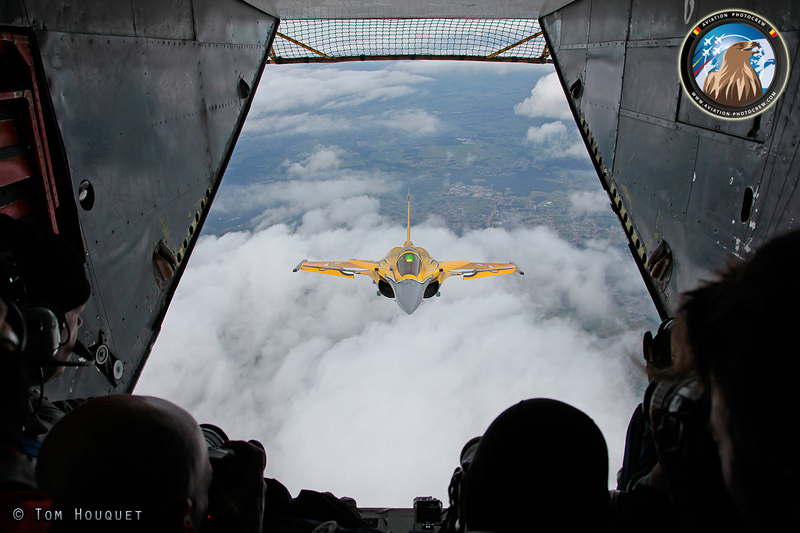 The aircraft flew some different positions as briefed to be able to photograph the aircraft from all sides. As everyone was very excited with the photo results, an extra opportunity was taken on Monday after the show, to photograph both Rafales together. After taking off from Kleine Brogel Air Base, both Rafales joined up behind the Skyvan and some very dynamic breaks were performed as briefed which resulted in these stunning images that can be seen here. 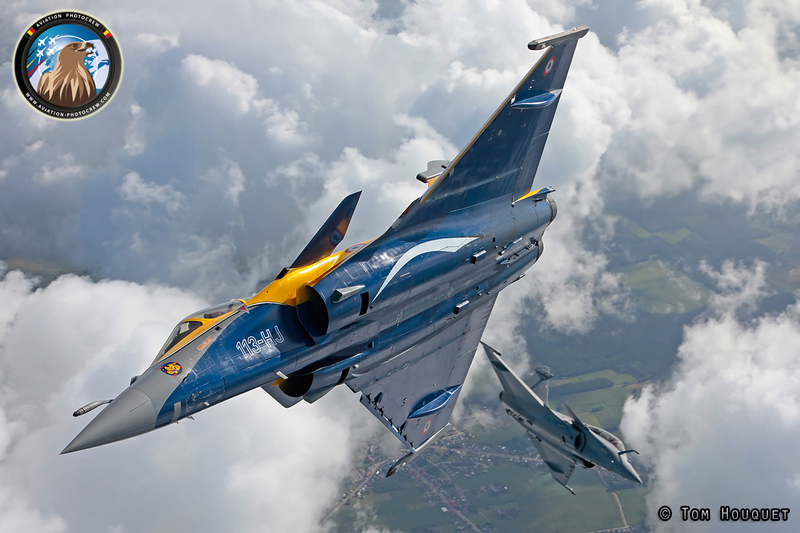 Afterwards both Rafales headed back home after a fantastic weekend. Hereby we would like to thank everyone who made this possible, the Sanicole Airshow, Kleine Brogel ATC, French Air Force and definitely the crew of the Rafales and the Skyvan for the professional cooperation.